Co-created by James Grahame and Peter Kirn (Create Digital Music), the MeeBlip is a monophonic synthesizer inspired by electronic instruments that came before, but with a unique sound and hands-on control. It's fully open-source hardware: you're free to see, modify, learn from, and share hardware and software components alike. 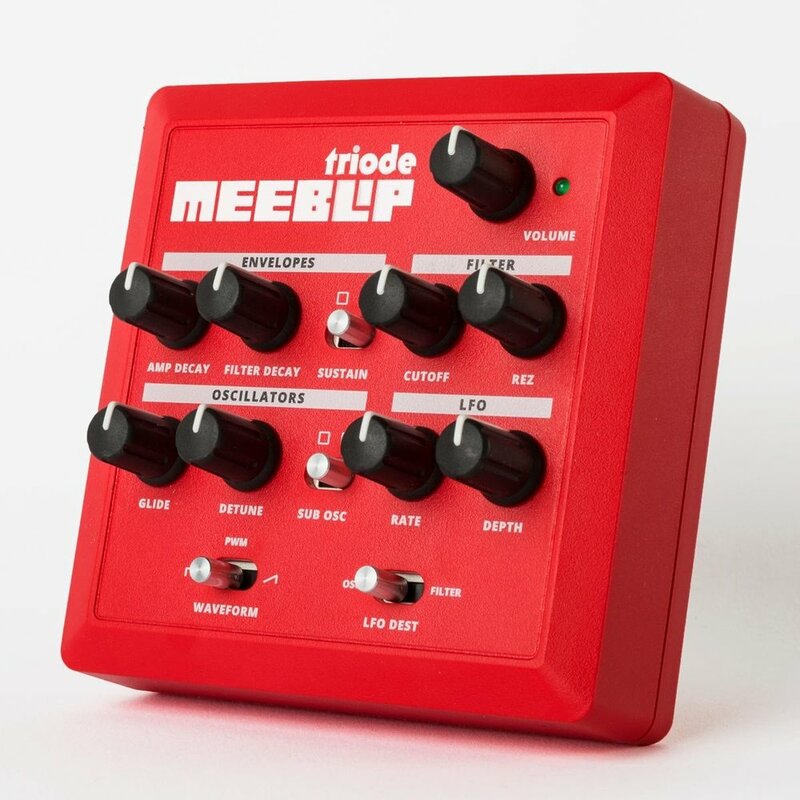 MeeBlip triode is a project of James Grahame (blipsonic) and Peter Kirn (CDM / createdigitalmusic.com). It's independently designed and manufactured, then hand-assembled and tested in Calgary, Canada before making its way to you. The MeeBlip project is fully open source hardware. It's ready to play, no assembly or hacking required. But if you do want to learn how it works or modify it, you're free to do so. Circuits and code are all available via GitHub, and are covered by a permissive Creative Commons and GPLv3 license. That means MeeBlip is an electronic instrument that gives you complete freedom for the future.